Should I File My Own Tax Returns? Tax time isn’t a very happy time for many people. It isn’t that we don’t think taxes should be paid, and we certainly don’t dislike a tax refund check. It’s the paperwork. To borrow from satirist Dorothy Parker: We hate doing our taxes, but we love having done our taxes. At least if there’s a refund coming. 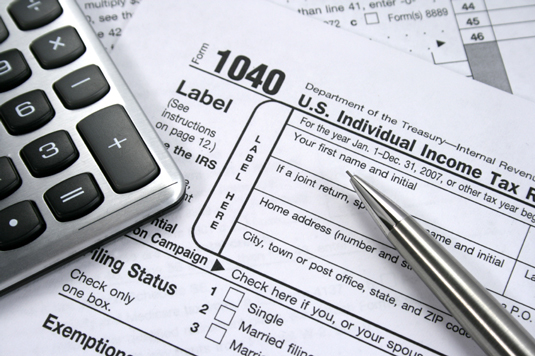 Hiring a tax preparer will cost you some money, but it can save you loads of time. The IRS estimates that, in 2013, U.S. taxpayers will spend an average of 16 hours apiece preparing and filing a Form 1040, 7 hours filing a 1040A, or 4 hours filing a 1040EZ. Tax professionals know how to get you the best return. Tax professionals know tax law in ways that you never will (or want to), and they know where to find exemptions and credits that you might not even know about. A tax professional is a storefront tax preparer (think Jackson Hewitt or H&R Block), enrolled agent, certified public accountant (CPA) or tax attorney who will not only fill out your tax returns but will ask you questions and give you guidance about how to save money in the future. Don’t pay someone to just fill in the blanks on your tax returns; you’re paying for tax help, not typing. You won’t bear the burden alone if something goes awry. If you get audited (for whatever reason), you won’t be left on your own to try to explain why you put all the numbers where you put them on your tax return. The preparation costs may be deductible. Depending on your income and how much you pay your tax preparer, the money you spend on having your taxes prepared this year might be deductible when tax time comes around next year. No stress-related tax-time headaches. For the average U.S. citizen, filling out tax returns can be, well, taxing, both emotionally and mentally. If someone else is doing your taxes for you, you can just relax and concentrate on what you’ll spend your tax refund on. It costs you time, but it saves you money. Tax preparers expect to get paid for their work, from around $50 for the simplest tax returns to over $500 for something more complex. Doing your own taxes forces you to look at how you keep track of your tax-related paperwork. Are you keeping track of your charitable donations and medical expenses throughout the year? A tax preparer can use only the information you give her; she won’t know if something’s missing. But you will, and doing your own taxes will reveal where you’re falling short in your recordkeeping. With computers and the Internet, doing it yourself has become much easier. The majority of federal tax returns are now filed electronically, and tax preparation software has become a booming industry. Not only does tax software eliminate simple mathematical errors, but it can also offer features that wouldn’t be available on paper, such as a one-click comparison of two versions of your returns to decide whether a married couple should file jointly or separately. Some people balk at the idea of using tax preparation software because it seems like dishing out the same amount of money as hiring a tax preparer but without the benefit of an accountant’s knowledge and experience. However, if your adjusted gross income is less than $57,000, you can get your tax preparation software for free. A number of software companies have made their products available through the IRS Free File program, and some of them will even file your state taxes, too! You don’t have to rely on anyone else. Your tax returns become more complicated as your finances become more complicated. If your income situation qualifies you to use a 1040EZ, there’s no reason for you to hire someone to do your taxes. But as you grow financially — adding investments, a home, a spouse, a second income — you’ll drift away from that simple 1040EZ and into the land of itemized deductions and other multiple forms and schedules. The more complicated your tax returns get, the more likely you’ll want to hire a pro. But even if you would rather do it yourself, it’s a good idea to have a professional prepare your tax returns every four or five years. Who knows? A tax preparer might even find deductions you could have used in those previous years, giving you the opportunity to refile and get more money back!